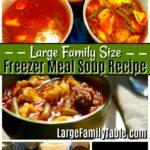 On my most recent large family freezer meals prep day I was able to get two large stock posts of different freezer meal soup completed. 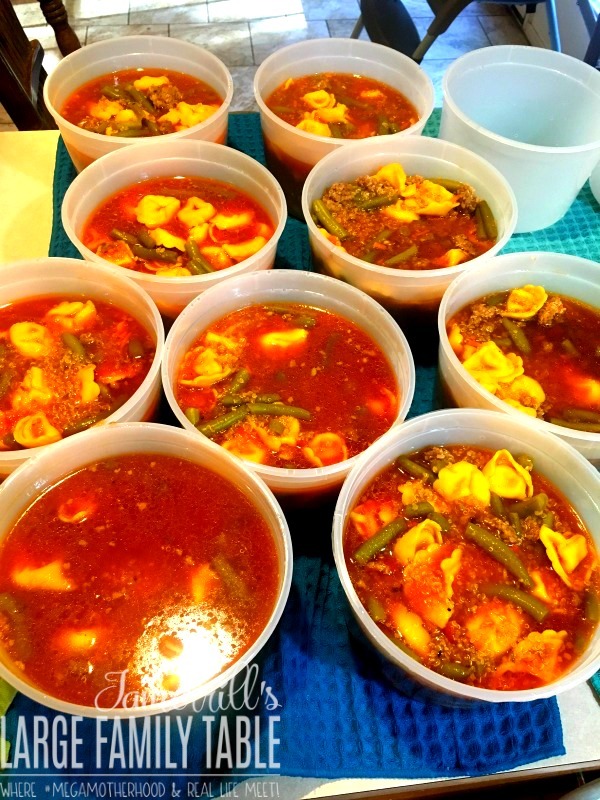 One of the two pots I made was of this large family size Quinoa Tortellini Sausage Soup recipe. 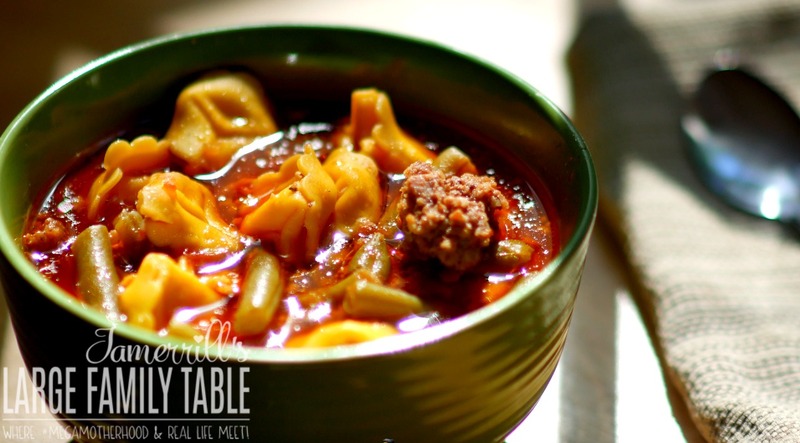 This freezer meal soup does not fail to please with the savory sausage goodness, various vegetables, and cheese tortellini treats. Your family will love having this savory Quinoa Tortellini Sausage freezer meal soup in your stocked freezer! 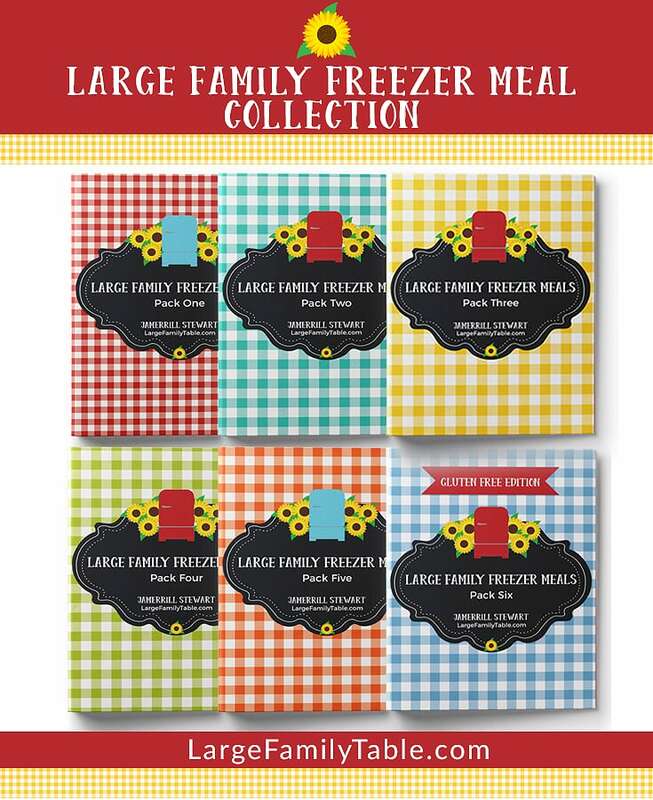 It’s perfect for a family meal or individual portions. Cook 4 lbs of pork sausage with 5 diced green onions, 4 cups of shredded carrots, and 2 minced garlic cloves until fully cooked. Drain was fully cooked. Cook 2 cups dry Quinoa in a small pot per package directions. In a large stock pot combined tomato sauce, parmesan cheese, green beans, crushed tomatoes, and beef broth. Cook on medium heat, stirring gently as needed. Add in pork sausage and quinoa once those are fully cooked per above directions. Continue to cook the entire stock pot of soup for 5 to 7 minutes, stirring as needed. 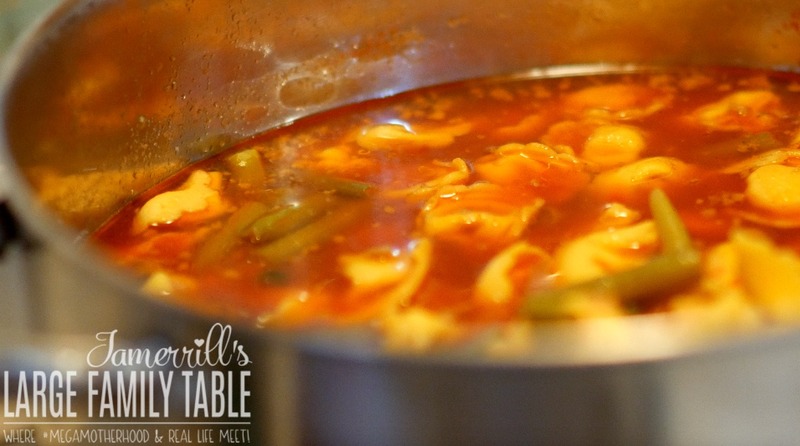 Cook entire stock pot another 7 to 10 minutes until tortellini are cooked through. Once soup is safely cooled scoop into freezer safe soup containers. Leave room for soup to expand during freezing. For use just set out into the refrigerator the night before or morning before needed. Reheat the soup in the microwave or on the stove top when needed. 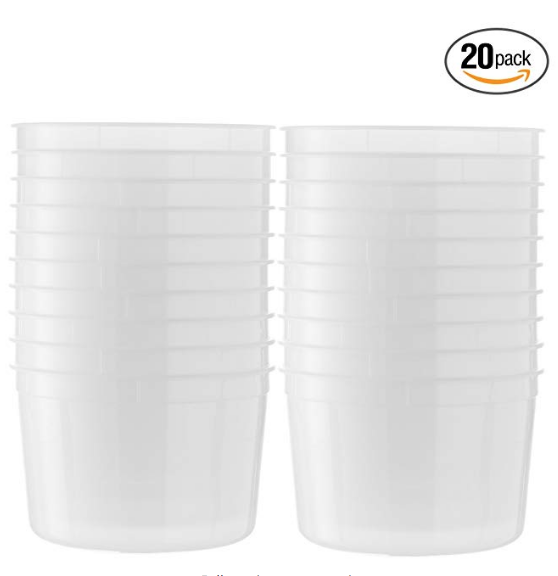 This is my Amazon affiliate link for the freezer meal soup storage containers that I bought on Amazon. 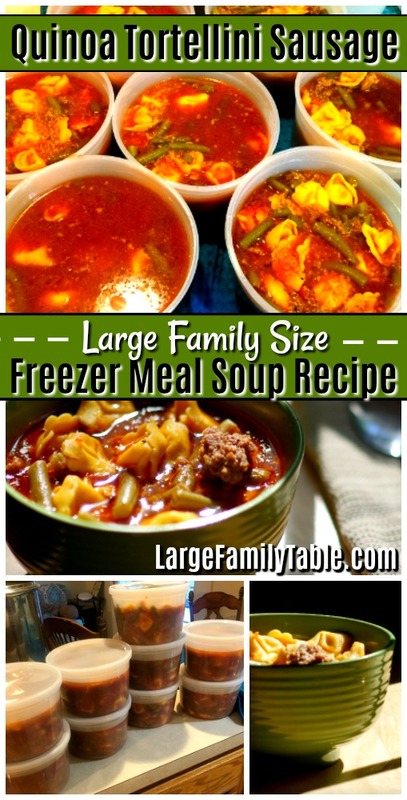 These are stated to be 64 oz containers, and I question this size claim in my recent large family freezer meals prep day vlog where I also make this freezer soup. These freezer meal soup storage containers didn’t *look* like 64 oz to me (and we all know I use my “Jamerrill eyeballing cooking school” around here. I had to nerd out a bit and test the size of the containers. Each container held 6 cups of water to the tip top, versus the 8 cups it would have been able to hold if it was a true 64 oz container. So in my “Jamerrill criminal freezer storage bought from Amazon investigation” I conclude these are truly 48 oz containers. I filled each container with 5 cups of this freezer meal soup recipe and left space for expansion. These containers did freeze and defrost well. I also plan on purchasing these 86 oz freezer storage containers in my next go-round for even more room. 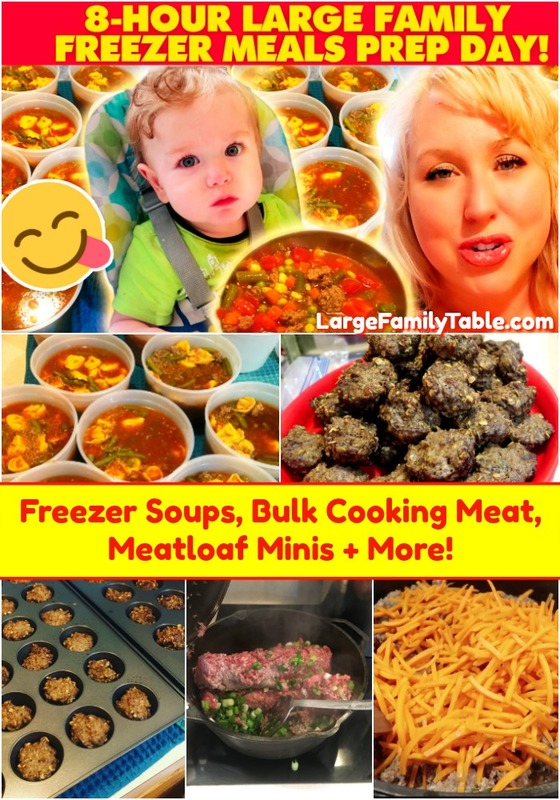 Here are more large family freezer meal recipes and resources you might enjoy! I love your videos!!! I have wanted to do freezer cooking for a long time. Like you I have a large family., I tried to get your free planner but I can’t figure out how. lol. Anyway I have purchased different items to help with this. I have also prepared little pizzas, French toast and pancakes. I am looking for specific recipes now to try. If you could please explain how I can get the meal planner book. Thanks for all you do and GOD bless you and yours!